The rain had gone and the sun was out, but there was a marked autumnal feel to the weather. It was the first day of having to wear arm / leg warmers and the gillet. It was nearly 1000 hrs by the time I had left camp though, this was because I had to go into town to get some food as a result of the supermarket being closed when I went into town last night. It wasn’t long before the temperature rose and I was having to start peeling the layers off. The headwind had lifted too, which made the riding a little easier. 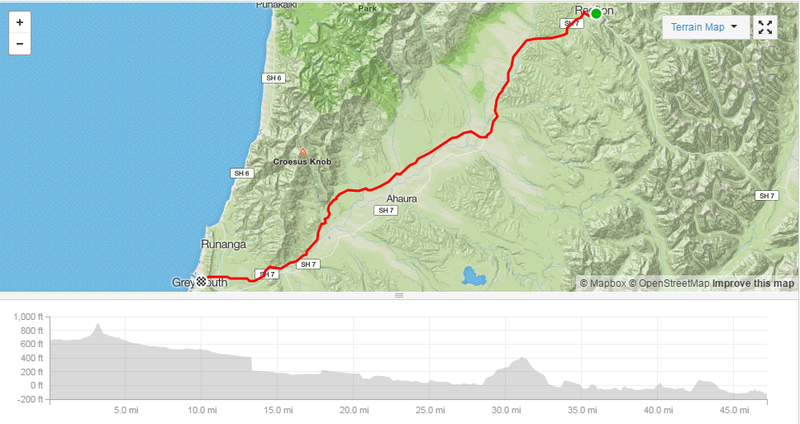 The elevation profile for the day was easy going. I had been keeping my eyes peeled for somewwere with a bench so that I could stop to brew up a coffee and eventually I passed a memorial hall at around 1330 hrs which had a play park and a bench. This provided a great opportunity to dry out the tent too as it was still damp from the rain. 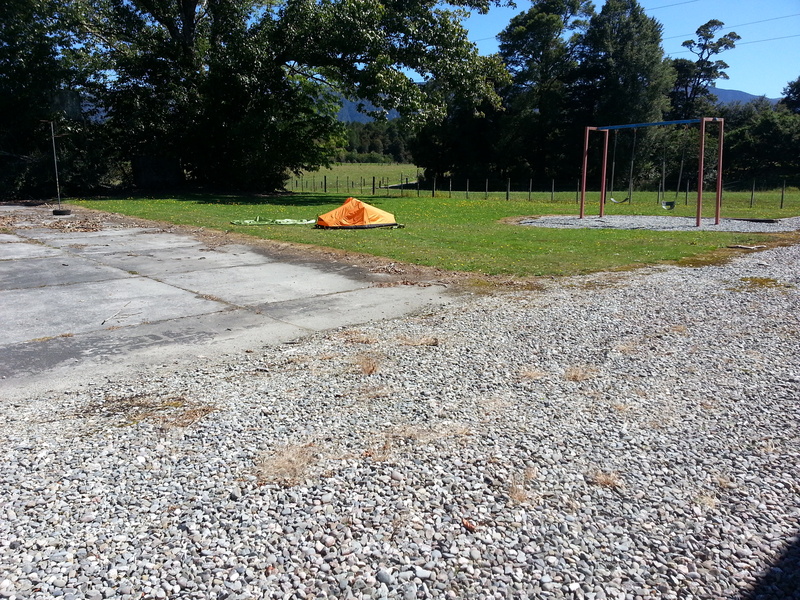 As I approached Greymouth I picked up a cracking tail wind and was flying along. Sadly, it was the only time I’d have a tail wind on the whole trip. 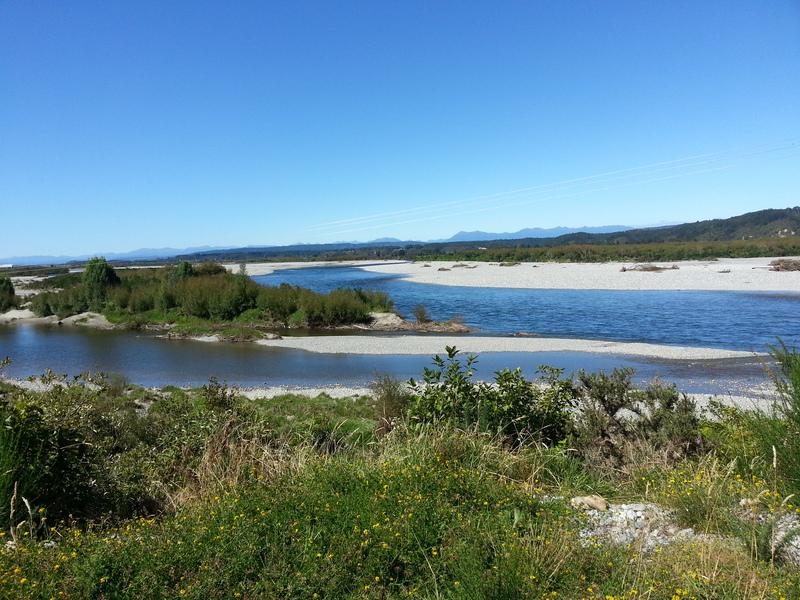 Greymouth was a coastal town with a mining history. 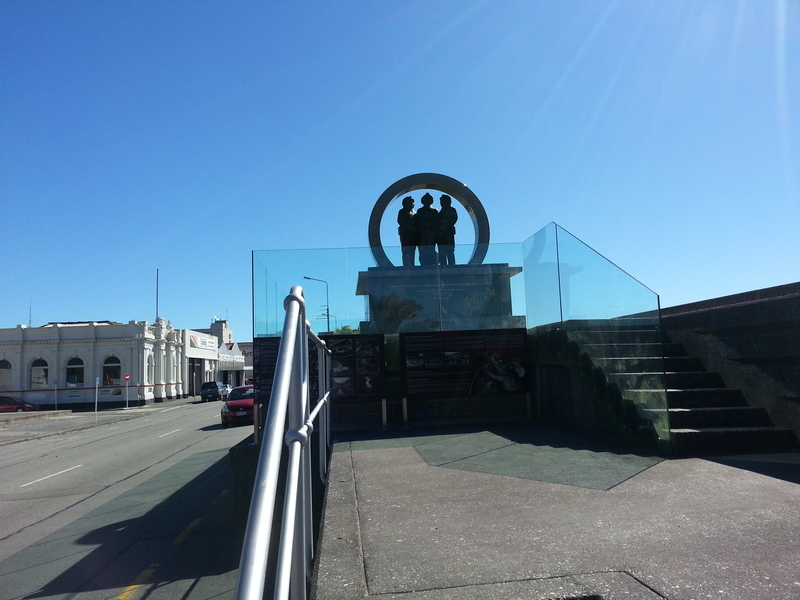 There was a very impressive monument to the miners on the wharf. The circle in the photo was slowly rotating. 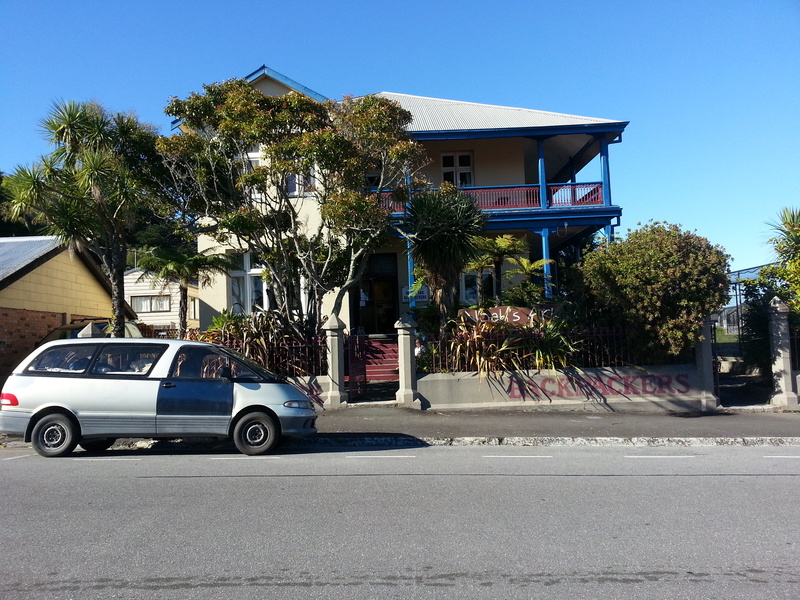 Accommodation for the night was at the local backpackers. For $20 you could pitch your tent in the garden and have access to all of the facilities in the building. Once again, having a full kitchen provided a great opportunity to cook up a decent meal. Pasta with a bacon and red wine sauce. I was eating like a horse and ate a whole saucepan full of the stuff, much to the amusement of the other guests.